In a hospital delivery, newborn baths soon after the baby is born are essentially standard procedure. However, there are many important reasons to postpone that newborn bath. You may be thinking about the vernix, or white coating, the newborn is covered in at birth and how it should be cleaned off. The fact is there are many reasons that the vernix should not be cleaned off right away. For example, vernix not only acts as a protective barrier, while in the uterus, from liquids but it also acts as a skin cleanser, moisturizer, safe and natural antimicrobial, temperature regulator, and antioxidant for the newborn after delivery. In the hospital, where many of the most drug-resistant microorganisms are found, washing away the natural protective coating, the vernix, from the newborn’s skin seems like the opposite of what should be normal protocol. The newborn bath washes away this rich with natural flora, proteins, and antimicrobial natural protective barrier. By washing away this protective coating, the skin of the newborn is left open to colonization from the microorganisms in the hospital. By leaving the vernix intact, the antimicrobials that are active against Group B Streptococcus, E. Coli, and other bacteria can prevent your newborn from becoming ill. Instead of massaging this naturally moisturizing coating into the newborn’s skin, it is washed away allowing the newborn’s skin to dry out and then to compensate manufactured moisturizers are applied, that are less adequate. By leaving this naturally moisturizing coating intact the newborn will have more hydrated skin. In addition, washing away this natural temperature regulating coating, at a time where temperature regulation is vital, makes the need to compensate by bundling up the newborn, which eliminates skin-to-skin contact during this crucial bonding time. Another drawback, other than affecting bonding, to eliminating this skin-to-skin contact is that the newborn’s temperature is not increased and stabilized as fast as it would be if skin-to-skin contact were to be taking place. What can you do if you’re expecting to deliver soon to delay bathing your newborn? First and foremost, it is important to talk with your obstetrician, midwife, nurses, and any other caregivers who may be present at your birth about not washing your newborn right away after he or she is born. Ask your care providers to allow you to have some time with your newborn before any bathing takes place and if you wish, rub the vernix into your newborn’s skin. Prolong the first bath as long as possible, as the smell of a newborn’s vernixy body helps with bonding, lactation, attachment, and mood stability the first few days postpartum. It is also important to make sure your partner is aware of your wishes, in case you are so excited about birthing your newborn that making sure your care providers do not bathe your newborn may slip your mind. The power of vernix is truly astounding, so why is our culture so willing to wash away something so amazing with so many protective benefits to our newborns? 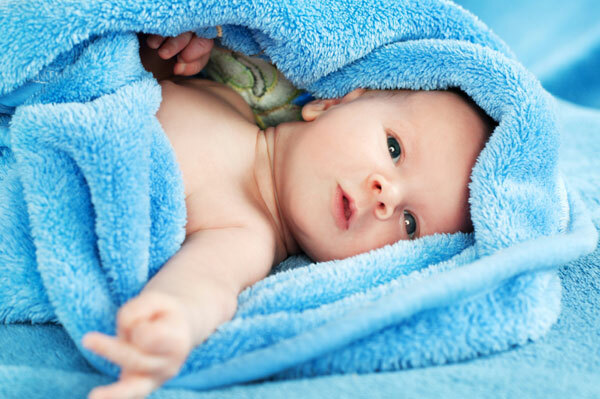 Was your newborn’s first bath soon after birth? Did you know that vernix offers protective benefits? I am Marie: a wife, a first time mother (currently expecting), a woman who struggled through infertility, and a follower of Jesus. I am very "crunchy and granola" and tend to do many things against the “norm” in the United States. I am a firm believer, follower, and advocate for Attachment Parenting, cloth diapering/using organic/chemical free diapers and products, extended breastfeeding/tandem nursing, co-sleeping, homeschooling/unschooling, babywearing, natural birth, water birth, delayed cord clamping, and researching to make fully informed decisions. I am also anti-vax and an intactivist.